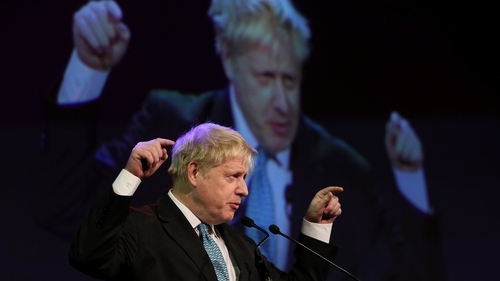 British MP and Brexiteer Boris Johnson was paid more than €58,000 to speak at a business conference in Dublin last month. Mr Johnson made the speech, which lasted just under an hour, at the Pendulum Business and Self Empowerment Summit in Dublin's Convention Centre on 10 January. The company, Pendulum Events & Training, paid the former UK foreign secretary a total of £51,250 for the speaking engagement. The figure was declared in this week's British register of members' financial interests, which is regularly published to announce all outside benefits or financial interests of Westminster politicians. The document says that Mr Johnson received the sum for a two-hour engagement, and transport was also provided by the company, which is based on Upper Baggot Street. Mr Johnson was interviewed at the conference by RTÉ's Bryan Dobson, during which he spoke about Brexit, Northern Ireland and the border issue. Although Mr Johnson's speech lasted for under an hour, the politician also took part in a meet-and-greet with guests at the summit.